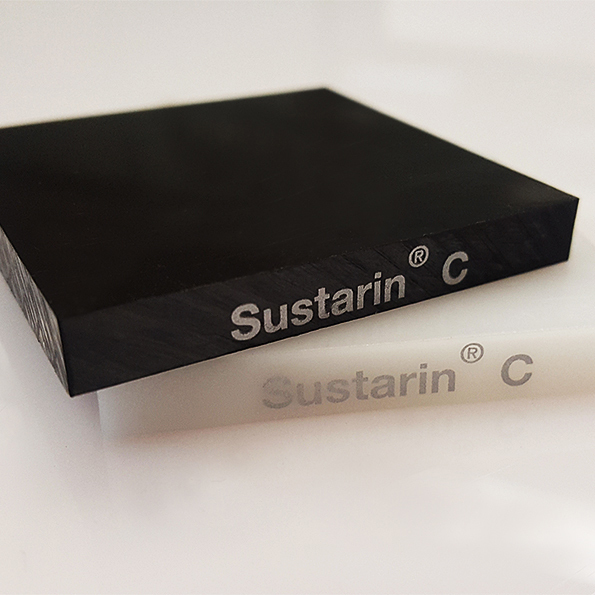 Sustarin has high hardness and stiffness, with very good mechanical properties. Sustarin has high hardness and stiffness, with very good mechanical properties. It has excellent creep resistance and dimensional stability, which makes it ideal for machining of precision parts. The co-efficient of friction is low, and the dielectric properties are excellent. Black version available in most sizes.